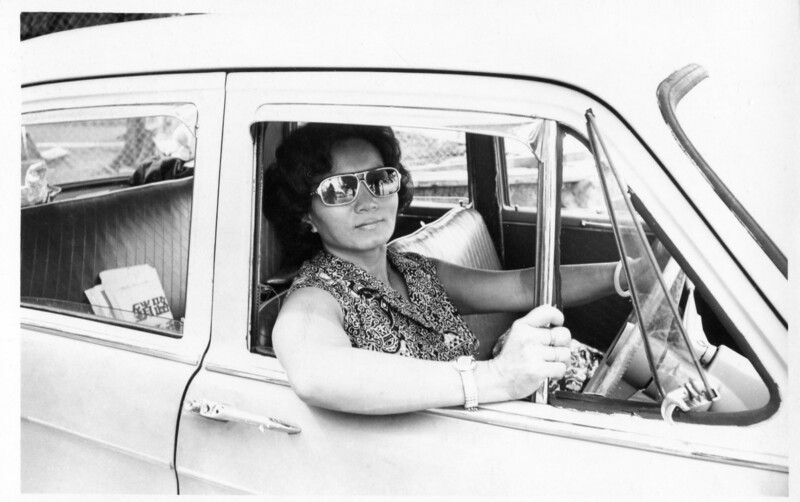 This is my mom in our first car. In the early years, my parents used to get around on a scooter. Road safety laws have come a long way since those days when several of us would pile on top of each other on the scooter to get around town. Anyway, one day, my mom rode the scooter to the butcher’s to buy some meat for dinner. She saw his prices and asked why his goods cost more than the neighbouring butcher’s. His reply – Well, who says we have to copy everything other people do? These other customers drive cars, and I don’t see you driving a car. According to my dad, my mom went home and cried her eyes out. And asked him to buy her a car. So he did – a Hillman. For years, I thought it was called a Hay-Lay-Man, because that’s how he pronounced it.